Click "More options" link on the map below, and add your address to calculate directions from your location. Do not ASSUME that these new ride services have the driver capacity to handle your needs. Plan your rides in advance. 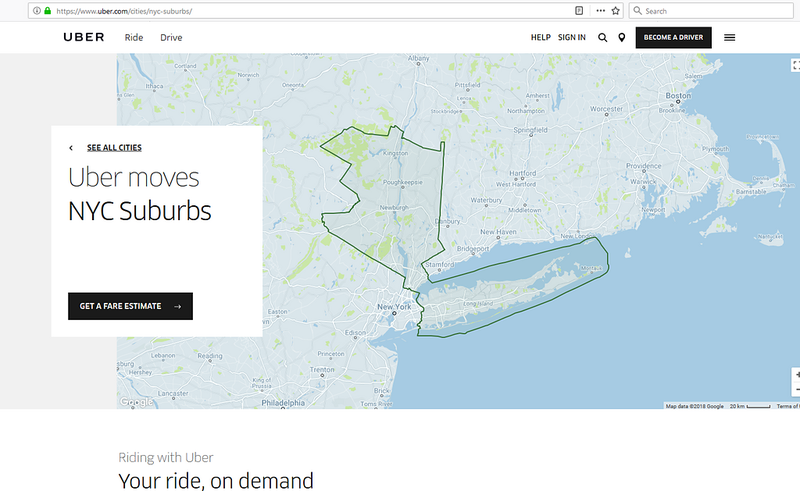 Simple Rideshare.us tool. You take responsibilty for your own experience. North on Taconic Parkway to Route 199 Exit (exit is approximately 1 hour from start of Taconic Parkway). Exit at Route 199 (Red Hook, Rhinebeck). Turn left onto Route 199, heading west. After 4 miles, Route 199 will bear right at a traffic light; go straight at that traffic light onto Route 308, continuing west. Route 308 will take you all the way into the village of Rhinebeck. Avoid traffic, however, by TURNING LEFT in 4.2 miles to merge onto Route 9G North. Go 1.7 miles, turn LEFT onto Route 9 at traffic light. The entrance to the Fairgrounds is approximately 1.2 miles from that traffic light on the left. There is ONE ENTRANCE this year, 2012. It's called the NORTH ENTRANCE and it is north of the main entrance. Those directions bypass the Village of Rhinebeck. If you'd like to see the historic Village - and bypass POTENTIAL traffic coming over the bridge from Kingston - then continue on Route 308 past Route 9G until you come to the Village. At the light, take a RIGHT. The NORTH ENTRANCE is about 2 miles on the right. Travel north to Exit 19, Kingston. After paying toll, you will enter a traffic circle, take your first right off the traffic circle (Route 28). You will go through a traffic light and bear right on the exit for the Kingston-Rhinecliff Bridge, Route 209, heading east. Crossing the bridge, the road changes to Route 199. After the bridge, at the second traffic light, turn right, heading south, onto Route 9G. In approximately 1 mile, you will come to another traffic light and the intersection of Route 9. Turn right onto Route 9, heading south. The Fairgrounds are located approximately 2 miles on your left. Metro North to Poughkeepsie, followed by an approximate 45 minute taxi ride. Amtrak to Rhinecliff, followed by an approximate 5 minute taxi ride. Trailways to Kingston, followed by an approximate 25 minute taxi ride.